Meet our team and learn about our experience. The Kansas City Foundation Repair Experts, established in 2001, Foundation 1 has created a reputation based on honesty, quality, and fair pricing. Working in the metro, on both the Kansas and Missouri sides of the state line, we have risen to the top as one of the most elite foundation repair companies in our industry. In the beginning, Foundation 1 made its mark by being one of the top “Wall Push” contractors by straightening bowing and leaning walls back to their original positions. We found ourselves at the forefront of our industry due to our innovative designs, and by creating new systems that revolutionized our trade. Since 2009, we have risen to the top again as one of the top Pier Installers in the Midwest. We can and will stabilize or even lift any structure, returning integrity to the home, and peace of mind to the homeowner. What kind of repairs do you do? 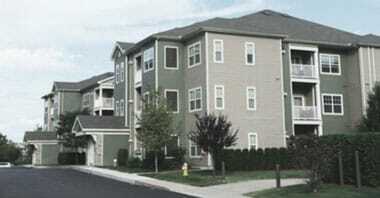 Foundation 1 is a full service foundation repair / waterproofing company. There are many projects we do that competing firms will pass on. We have the experience and talent to cover all the bases. 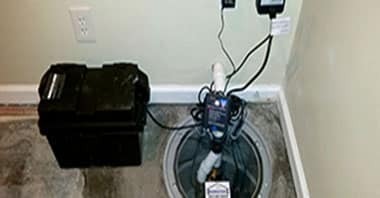 Generally, the work we do will focus on foundation piers, wall braces, wall straightening, crack repair, lifting and stabilizing the structure, and waterproofing systems, such as drainage systems, sump pump repairs, and French drains. We work on all kinds of basements including crawlspace, stone foundation, cinder block, and poured concrete. In more extreme cases, we are even able to repair and completely rebuild foundation walls. Lastly, we also do mudjacking, which is commonly needed in conjunction with fixing foundation problems. 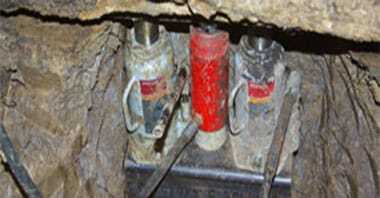 Mudjacking helps to lift concrete and fill voids in basement slabs, concrete stairs, patios, sidewalks, and driveways. Foundation repairs can be kind of complicated, so we send out a structural evaluator at no cost to identify your specific needs, including looking at water in the basement, cracks in the walls, or sump pump issues, etc. We then provide a custom review for your specific home with a pricing estimate. The evaluator will also be available to answer questions. 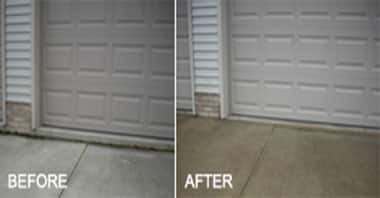 The major warning signs for foundation repair include cracks in your foundation wall, water or leaks in your basement. Other signs include windows or doors which stick / will not open or close, cracks in your drywall, particularly above windows and doors, sloping floors, bowing walls, and visible damage to the outside of the foundation. How do we set up an appointment? 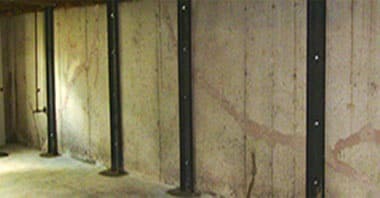 What is the difference between basement piers and wall stabilizers? Typically wall stabilizers (also called wall braces or wall beams) will be used when you have bowing walls, leaning walls or horizontal cracks. What happens is the soil expands around your home, often based on differing levels of water, and this pushes the wall inward and causes damage. (This concept is called hydrostatic pressure, and is really common in Kansas City with the high clay content in our soils, and varies greatly with things like drought or rainy seasons.) With piers, we are typically working with the challenge that the home is settling. Thus, the natural movement of the home is down / sinking. The piers are put under the home (underpinning) to help stabilize the home from sinking further, and often can be lifted to its at or near its original position. What communities do you work in? 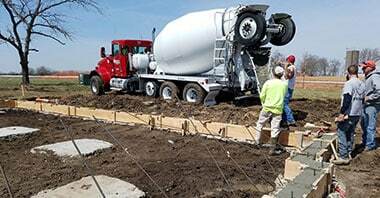 Foundation 1 services the entire Kansas City metro area on both the Kansas and Missouri sides. We commonly work in Overland Park, Prairie Village, Merriam, Olathe, Lenexa, Bonner Springs in Kansas. In Missouri, we are regularly in KCMo, North Kansas City, Parkville, Lee’s Summit, Raytown, Liberty, and Independence. Generally, our coverage area is within a 45 minute drive from the middle part of Kansas City. We are. And that is a great question. We are and many in the industry are not. When you speak with us, we are happy to provide you with copies of our information to document this. It is smart to work with established companies who do not cut corners. There are a number of “fly by night” or “2 guys with a truck” operators. You do want to work with a professional organization, especially if a warranty is important to you for yourself and/or selling your home. Do you work with engineers? We have successfully completed projects with a large number of the residential structural engineers in the Kansas City area. While some projects are basic and do not actually require an engineer’s approval, we certainly will work closely together with them to best meet your needs. In many cases, cities will require engineering letters for permits, but this varies by community. Call us to get the process started, and if you need to bring in an engineer we will be happy to work with yours and/or refer you to some we know in KC who are reputable and will do a great job for you. We have been serving homeowners since 2001 and have some of the best online reviews of foundation repair and basement waterproofing contractors in the market. As a locally owned company, we pride ourselves in serving customers the way we would want our own families to be treated. That means coming up with the most appropriate solution for your challenge (fully fixing, but not over fixing), addressing problems at the root cause, charging fair prices, and bending over backwards to provide great service, including answering all questions, installing quality solutions, working jobs to their completion, and doing a great job of cleaning up after ourselves. Many of the services we provide do come with strong warranties, including up to lifetime, transferable warranties. Not only do we offer them, but we are around to support them, which includes actually answering our phones (by live people; we do not use voicemail to screen like many other contractors do! ), and having an expert team who can address issues, should they arise.